Barry Jennings is one of four principals of American Profit Recovery, Inc. Jennings, an executive with over 25 years of experience in the credit and collections industry, took his experience and passion for the business and started APR in 2004. 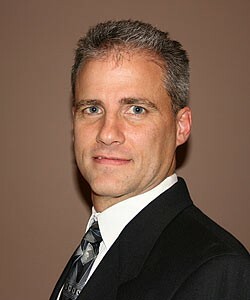 He is currently responsible for all aspects of the Prospecting Sales Team for the entire company. Jennings began his career in at one of the largest collection agencies in the country. He quickly became a natural in the industry, working his way from assistant branch manager to regional branch manager. Throughout his tenure, Jennings consistently achieved record collections and recovery rates. He set over 17 branch records and produced over a 40% profit margin each year. His exemplary performance showcased Jennings as a proven and skilled leader. Jennings was eventually promoted to vice president of the company. This position gave him the responsibility of standardizing the Central United States collection division. He also handled all aspects of multiple branch operations at seven satellite offices and implemented new collection procedures. As vice president, Jennings spearheaded an aggressive Fair Debt Collection Practices Act training and testing procedure and was responsible for nearly 1.2 million in revenue monthly for the division.